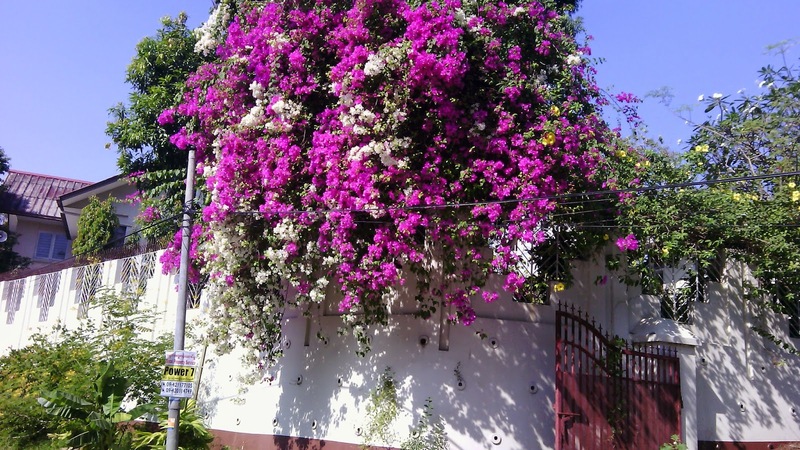 Maarten Goes to Burma: Flowering? The 2008 constitution moves Myanmar away from the highly centralized politics and economics of the military period. States and Regions came into being in 2010. States and Regions are constitutionally the same: States refers to areas defined by their ethnic makeup; Regions are predominantly Burman, which is the largest ethnic grouping in Myanmar, but in 2014 it is far from clear how this decentralization is actually working. It is not even clear if the current system is the endpoint or the start of the political change. the State/Region minister for Border and Security Affairs is appointed by the Commander-in-Chief of the Army and always is a serving military officer. there is an emerging State/Region judiciary, but the appointments are made centrally. The State/Region administrative layer is essentially missing. The Union General Administration Department, which is part of the Ministry of Home Affairs, provides administrative support to the State/Region Ministries. Interestingly, the Ministry of Home Affairs is constitutionally bound to have a serving military officer as its minister. The jurisdiction of the State/Region ministries is limited and the lines between Union and State authority is often blurry. Given the administrative and fiscal dominance of the Union, the States and Regions are very much in the shadows of the Union government. But still, Network Activities Group, the NGO that I support, is using the little bit of room that has been created to work towards change. For example, small-scale fisheries have become a State/Region responsibility. It is not a big economic sector but it accounts for a substantial part of income of poor households in Rahkine State, the delta and all along the Gulf of Motama. These folk are economically vulnerable to the decline in fish stocks due to overfishing on and off shore, salinization of lands, and the periodic typhoon with attendant flooding. NAG has facilitated the creation of village-based small scale fisher cooperatives that are then linked together at the District and finally at the State level, all with a view to provide these downtrodden a voice in the new State-level fisheries law and move it towards more of a co-management and resource conservation focus. It is small stuff, except if you are a destitute fisher. But this work has been made possible by the constitutional change in 2008, incomplete though it might be. Mind-blowing for me wearing my Poli Sci hat is that the Centre for Economic and Social Development, a small local Think Tank, has to go and interview all kinds of people at the Union and State Region level in 2013 and 2014 to piece together a conceptual map of who is who and who does what. An unexpected aspect of under-development in Myanmar: that machinery of politics is unknown. In Canada, that stuff is rote learning in the first week of Poli Sci 101. Here it is a puzzle that, when put together, shows missing pieces and some pieces that are so fuzzy that you have to acknowledge that a part of the picture is still hidden.